Heinz Big Soups are for those who want a really satisfying meal or snack. 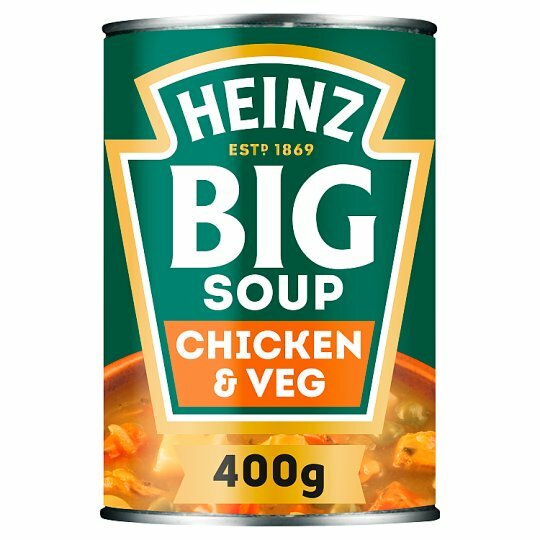 The Heinz Big Soup Chicken & Vegetable recipe is packed full with chunky ingredients, made with tender pieces of chicken, chunky potatoes, carrots and garden peas to create a great tasting soup. Why not try some of our other Big Soup recipes? Empty any unused soup into a covered non-metallic container and put into the fridge. Eat within 2 days., Best before end - see can end.